Efforts to help accelerate the growth of small- and medium-sized enterprises (SMEs) in Argyll and Bute are to be boosted by additional funding of almost £500,000. The move was approved on March 7 by the council’s Environmental, Development and Infrastructure Committee. 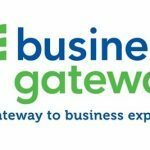 Phase Two of the Business Gateway Local Growth Accelerator Programme (LGAP) will see a £483k business support programme delivered by the Business Gateway team. It follows Phase One, which closed in December last year. Phase Two will include ERDF funding of £338,100, with the council required to provide match funding of £144,900. Subject to approval by full council next month, the £144,900 will be wholly provided from the West of Scotland Loan Fund (WSLF) surplus, meaning Phase Two will bring no additional cost to the council.